Spread the message of hope during National Suicide Prevention Awareness Month. With the suicide rate climbing, it can feel like there is little that can be done to turn the tide on this epidemic. But research makes clear that each of us has power to prevent suicide. September is National Suicide Prevention Awareness Month. Wearing a suicide awareness ribbon or spreading the word on social media shines a light on the epidemic, but we also need a more concerted effort at the individual, family and community levels to improve suicide prevention awareness. By learning the warning signs and engaging a person who is having suicidal thoughts, we can interrupt the ideation, establish a connection and help them get through the crisis. The suicide rate in the U.S. rose nearly 30 percent between 1999 and 2016, the Centers for Disease Control and Prevention reported in June. In New Jersey, the suicide rate is up 19.2 percent. Some 9.8 million U.S. residents thought about committing suicide in 2016, according to the CDC. Of the 2.8 million who went as far as making a plan, 46 percent of them attempted suicide. Nearly 45,000 people died from suicide that year— one death every 12 minutes, making suicide the 10th leading cause of death. Let’s work together to change that dire statistic. The goal is to reduce factors that make suicide more likely and increase those that promote resiliency. This article covers the warning signs of suicide, five steps to help someone in emotional pain, and additional resources about suicide awareness and prevention. If you suspect a friend or family member is having suicidal thoughts, talk to them. Keep them safe. Keep them away from lethal items and places. Be there. Ask questions and listen to what they are thinking and feeling. Help them connect. Make sure they get in touch with a mental health professional or someone very close to them. Stay Connected. Follow up with the individual afterward because that can reduce the risk of a subsequent crisis. A person who has suicidal thoughts is NOT trying to get attention, but is experiencing extreme distress. They need help! Resources like the National Suicide Prevention Lifeline can help save lives. If you or someone you know is experiencing suicidal thoughts, call New Jersey’s round-the-clock suicide prevention hotline at NJ HOPELINE, 1-855-654-6735. 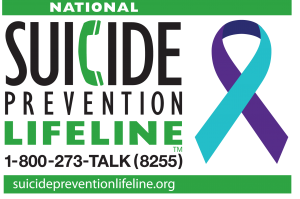 The National Suicide Prevention Lifeline toll-free number is 1-800-273-TALK(8255). So you know, when you call you will hear a recording, followed by music, and then be connected with a trained counselor. The Crisis Text Line allows anyone in crisis to text a trained counselor 24/7 by texting 741741. It’s important for someone who grapples with suicidal thoughts to create a safety plan, giving them tools to turn to in moments of crisis. The My3 app is a safety planning and crisis intervention app that keeps contact information of a person’s three most trusted supporters at their fingertips. NewBridge has made helping people learn how to respond effectively to mental health crises through Mental Health First Aid training a priority. “The goal is to arm as many adults as possible with skills to recognize when a person is in crisis and effectively intervene,” Vineis said. NewBridge began doing has been teaching MHFA for adults since 2013, and has added specialized trainings for helping children and adolescents, and college students. Learn more here. “MHFA training provides people with the tools to respond when someone is experiencing suicidal thoughts or feelings,”Vineis said. For more information, contact Vineis at mvineis@newbridge.org or 973-686-2228. NewBridge offers individual counseling for adults and children grappling with suicidal feelings, as well as family counseling. The nonprofit provides suicide awareness training for educators so they can identify students at risk and get them the services they need. NewBridge also runs in-school and community education programs to help individuals identify the signs and symptoms of depression. Click here to read more about warning signs of suicide. Parents, other caregivers and young people are invited to a free forum on Sept. 26 about suicide prevention awareness. The 7 p.m. event at the First Reformed Church of Pompton Plains features a Montville couple whose son died by suicide at age 16. Remembering T.J. —A Story of Teen Depression, Lessons & Hope will provide key information on how to identify red flags for suicidal thoughts and depression. The event is sponsored by Community Partners for Hope, a coalition of 11 community groups (including NewBridge) and houses of worship committed to raising awareness about important issues facing communities, and marks National Suicide Prevention Awareness Month. 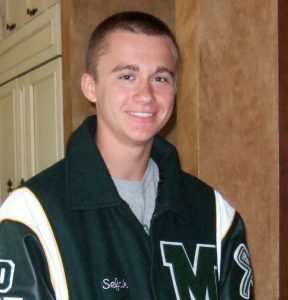 During National Suicide Prevention Awareness Month, the parents of T.J. Sefcik will share their story of loss. look like, describes many of the red flags often dismissed as typical teenage behavior, and urges participants to pay attention to their mental health. “It’s a story people need to hear,” said Mary Vineis, director of Community Response and Education at NewBridge Services, a nonprofit that runs in-school suicide prevention awareness programs and provides addiction treatment. A question-and-answer session will follow the presentation. Remembering T.J. —A Story of Teen Depression, Lessons & Hope is free to the community but registration is required. The presentation is appropriate for middle school, high school, and college students. Go to cpfh1805.eventbrite.com to sign up. The First Reformed Church of Pompton Plains is located at 529 Newark Pompton Turnpike in the Pompton Plains section of Pequannock Township. National Suicide Prevention Awareness Week starts Sept. 9. You can help the National Action Alliance for Suicide Prevention spread its #BeThere campaign for suicide prevention awareness through Thunderclap. Go to https://www.thunderclap.it/projects/70402-bethere-help-prevent-suicides. Thunderclap will post a single message on individual’s social media at noon on Monday, Sept. 10, World Suicide Prevention Day.